I. 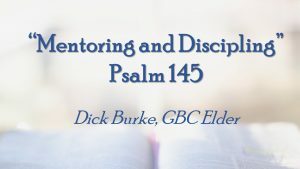 Why is it so difficult to fulfill Psalm 145? II. What is God’s purpose for my life? III. How will I respond to His plan for my life?